Stephen Hurrell published a book on the subject of the Expanding Earth theory, available from sources listed on his website (link below). 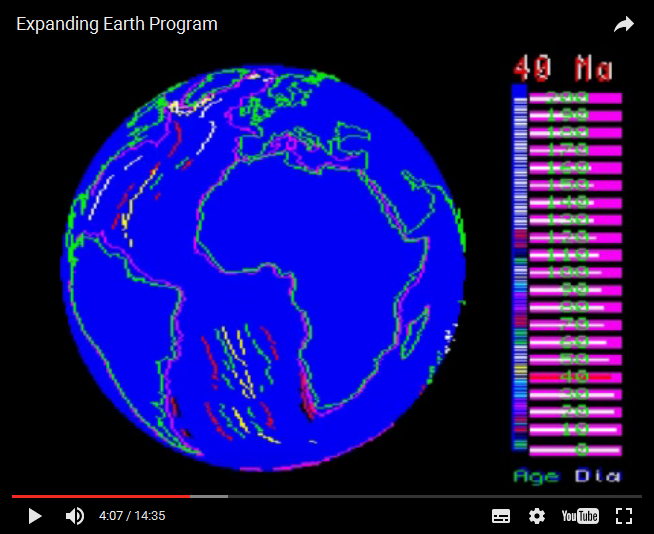 One of the longest running and most controversial theories in geology is the Expanding Earth theory. From the earliest school classes to the most advanced university geology lectures we are all taught that the size of the Earth has been constant and unchanging for thousands of millions of years, so virtually everyone is astonished when first presented with evidence for an Expanding Earth. Be that as it may, the QL connection here is that Stephen has made available QL SuperBASIC programs he wrote on this subject in the 1990s. The programs were written to run on a machine with at least 512K RAM (the author used a Trump Card). 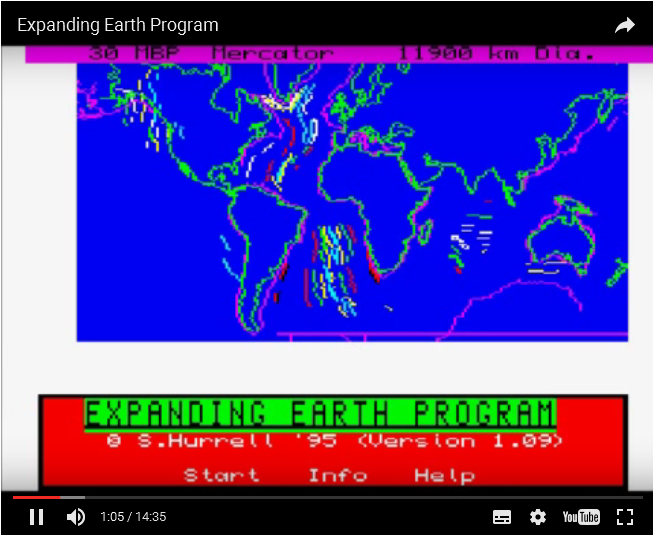 He wrote this program to confirm to himself that the ancient continents and ocean floor could be reconstructed on a smaller diameter Earth, just like a gigantic jigsaw puzzle, and some of the original reconstructions produced by the program are published in various editions of his book Dinosaurs and the Expanding Earth from 1994 onwards. A YouTube video is also available on the website of the program running, with narration. This entry was posted in News on 29/03/2017 by Dilwyn.